One of my favourite themes for Christmas, although it is easy to use any time of the year, is Gingerbread and there are so many fantastic books to choose from. From the traditional Gingerbread Man story to modern versions. 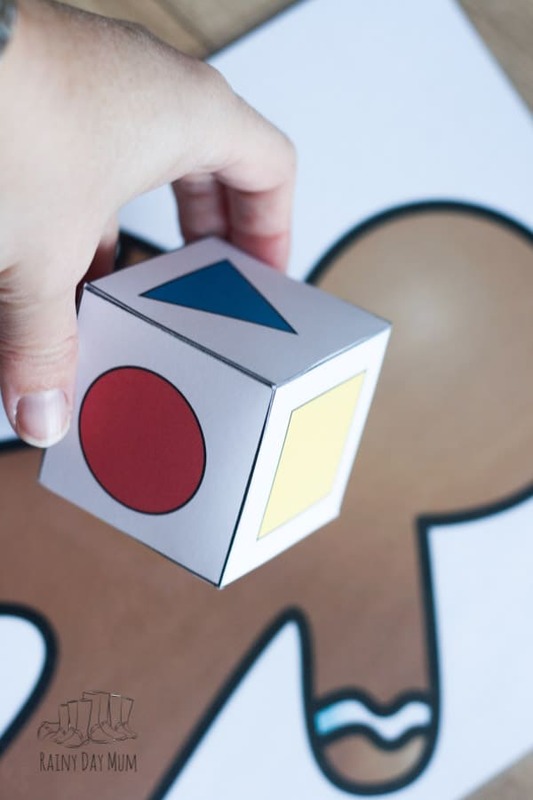 For this week’s Gingerbread Theme for The Virtual Book Club for Kids, we’re featuring the book Gingerbread Baby by Jan Brett and have a DIY Math Game for toddlers and preschoolers to “Dress the Gingerbread Man” whilst focusing on basic shape recognition. 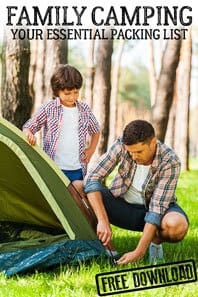 We have used affiliate links for products and resources we recommend. If you make a purchase via these links we may earn a small commission. 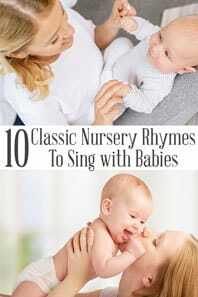 With beautiful illustrations, this twist on the Gingerbread Man story by Jan Brett Gingerbread Baby is an ideal book to share with toddlers and preschoolers. There is a second book which we also love and would recommend adding to your bookshelf Gingerbread Friends by Jan Brett which continues the story of the Gingerbread Baby. Both of these books have been favourites with my children, read at Christmas time and anytime we would read the more traditional Gingerbread Man story. 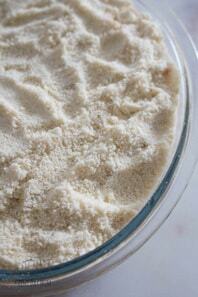 Create a beautiful Salt Dough Gingerbread Man Garland and work on Repeating Patterns. 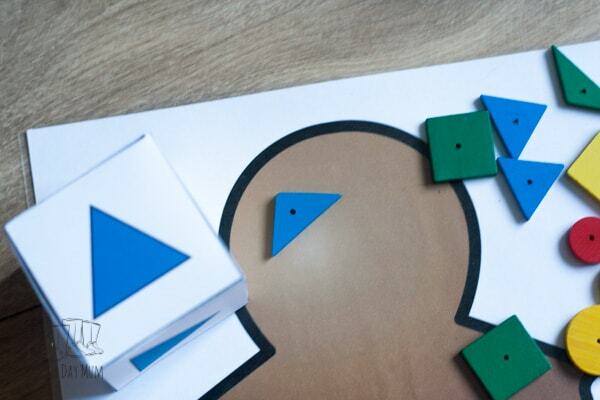 In this game, we are focusing the first 3 shapes – triangle, square and circle and have used these to “dress” the gingerbread man with eyes and buttons. 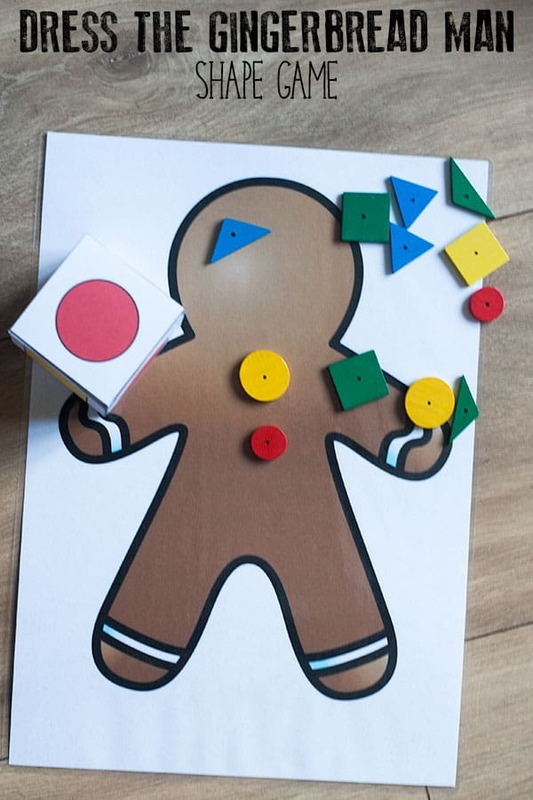 Subscribe to our Toddler and Preschool NEWSLETTER and get your Gingerbread Man Shape Game FREE! Sign me up! 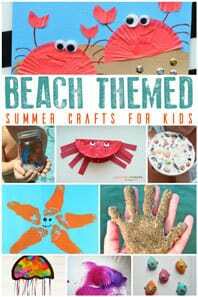 For Book Based Activities and my FREE Gingerbread Man Shape Game! 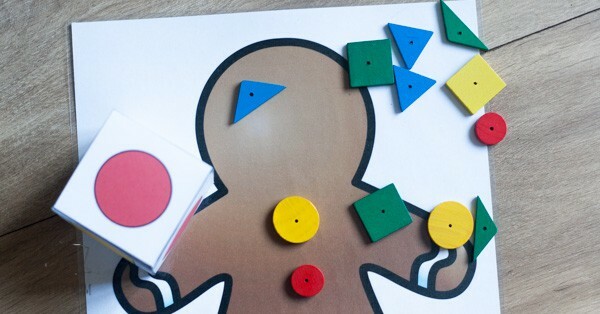 Download a copy of the Gingerbread Man Math Game and print out 1 gingerbread man per player plus a single copy of the shape dice. 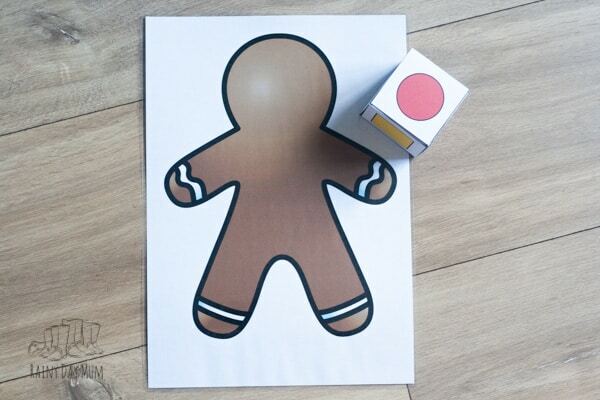 Laminate the copies of the Gingerbread Man for each Player and then cut out the dice. Score along the edge of the tabs and between the side to make it easier to fold. Place the double-sided sticky tape on each of the tabs and fold to make a cube. Make some Gingerbread Men Cookies with the Kids to eat after you play this game with this Kid-Friendly Easy Gingerbread Recipe. Decide what the winning point would be (you could place some dots to show the areas that need to be completed e.g. 2 eyes, 3 buttons, mouth, nose etc…) and the first person to “dress” the gingerbread man with their shapes would win. 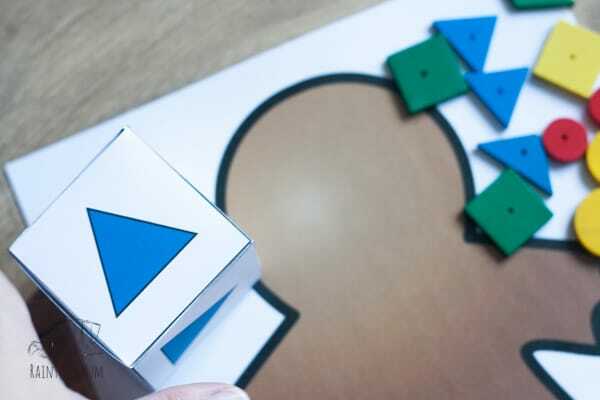 When it stops – name the shape “Circle”, “Square” or “Triangle”. 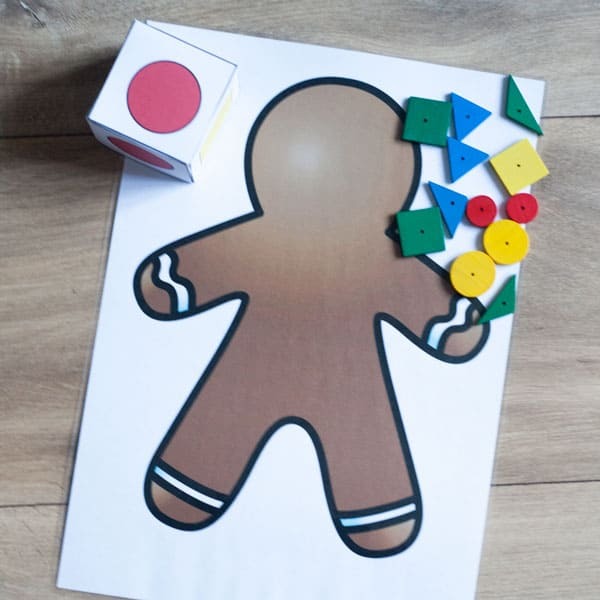 The player then picks up the corresponding shape and dresses the Gingerbread Man with it. If you have multiple coloured shapes you could also add in naming the colour of the shape that they are dressing the Gingerbread Man with. 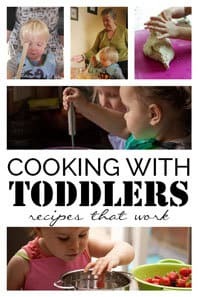 Each week for the Virtual Book Club for Kids the Co-ordinators and cohosts shape fun activities, crafts and recipes aimed at toddlers and preschoolers on the chosen theme and featured book. 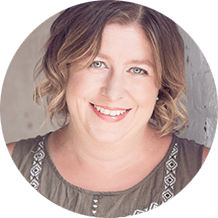 It’s easy to join us connecting and creating with books you can either sign up for our weekly book based activity newsletter (and get this DIY Dress the Gingerbread Man Shape Game FREE) and get the ideas straight to your inbox. Or you can come and join our Weekly Virtual Book Club for Kids Facebook Group with nearly 8000 other parents, carers and educators focusing on books each week. 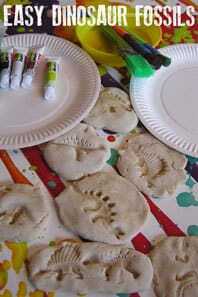 Here are this week’s fun activities for toddlers and preschoolers on the week’s theme of Gingerbread. 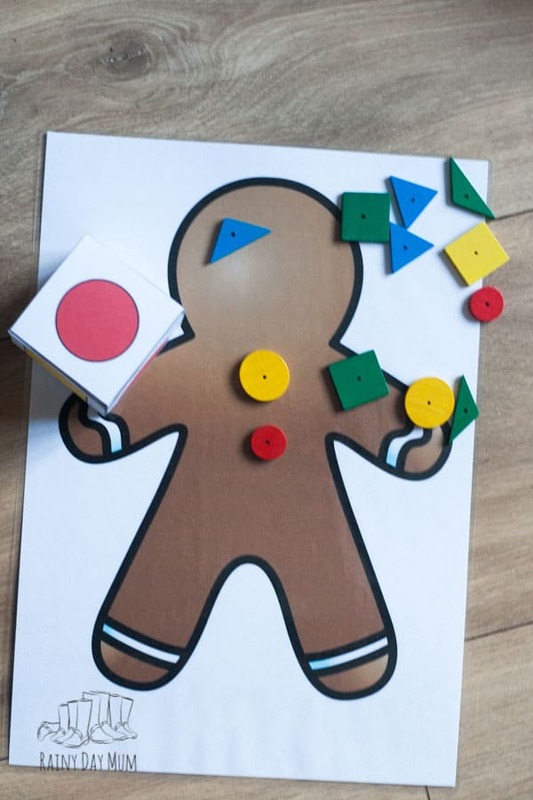 Gingerbread Man Shape Game – You are Here!